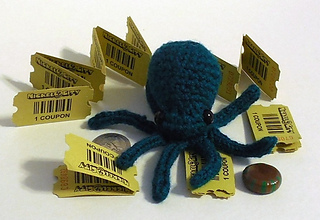 The mini octopus will fit perfectly on to your hand or in the hands of a child. 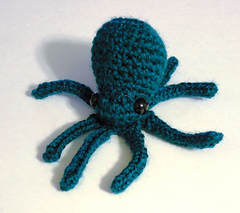 I put my love of octopuses into making this pattern and know that you will enjoy the octopus as well. 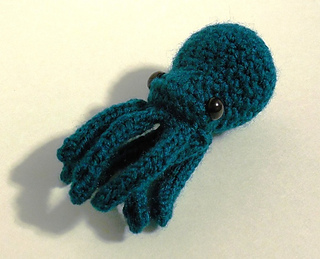 Crochet is used for the head and body and knitting is used for the legs (I cords). I have included a link to instructions on how to do an I cord in crochet for those who would rather crochet the entire pattern. Related Children’s Books: Angry Octopus by Lori Lite, Cowboy and Octopus, and Good Thing You’re Not an Octopus!